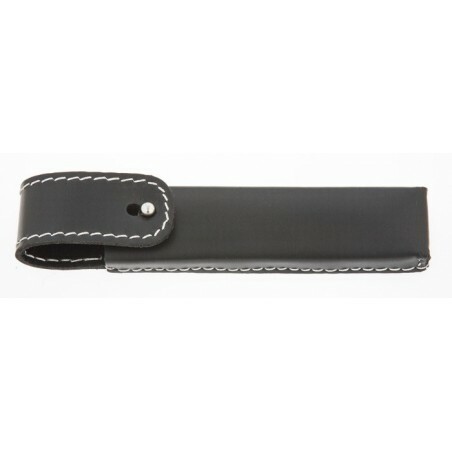 Timor Straight Razor Case. 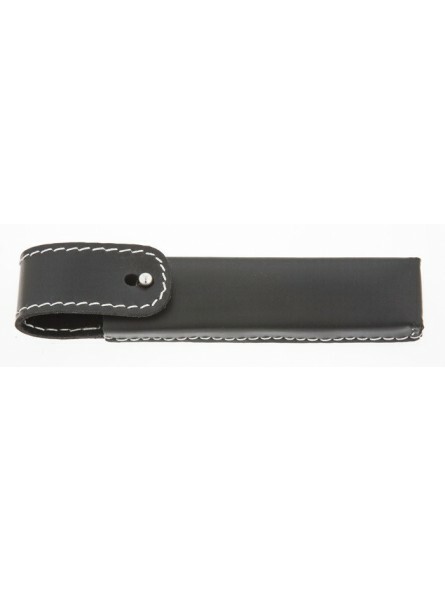 Black saddler-leather with white stitching, black velvet-lining, latch-closure with silver knob. Ideal when travelling or to simple keep store in order your straight razor and in a protected place.